After going to the Empire State Building last week and overlooking Edinburgh from Arthur’s Seat this week, today I completed the hat-trick. 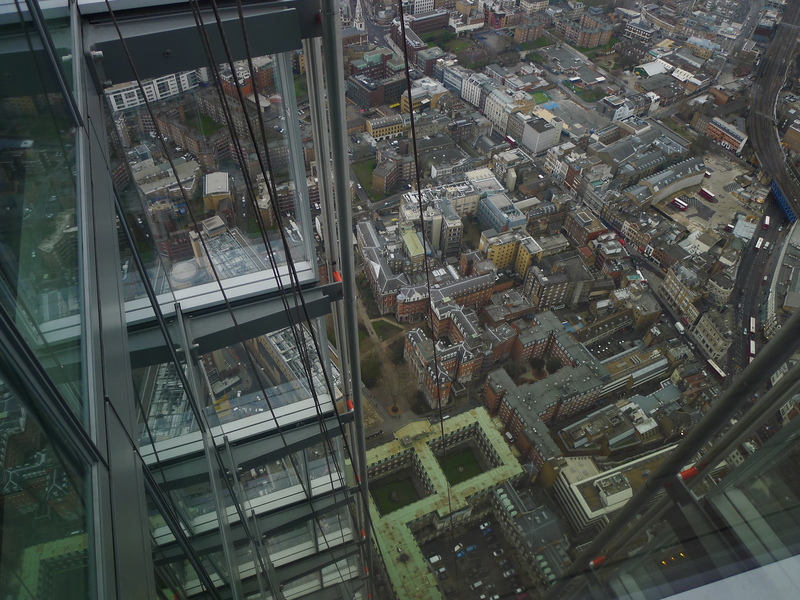 I visited the top of the newly-opened Shard in London so I could look over my capital city. With a view like this, it makes one wonder how somebody could possibly not want to have their office in london and get to look at this great city every day. I had previously been apprehensive about going to London. Thanks to a former stressful job, I am overcome with fear whenever I visit. But it’s only an hour from my parents’ home and filled with lots of my friends, so there’s no avoiding it. 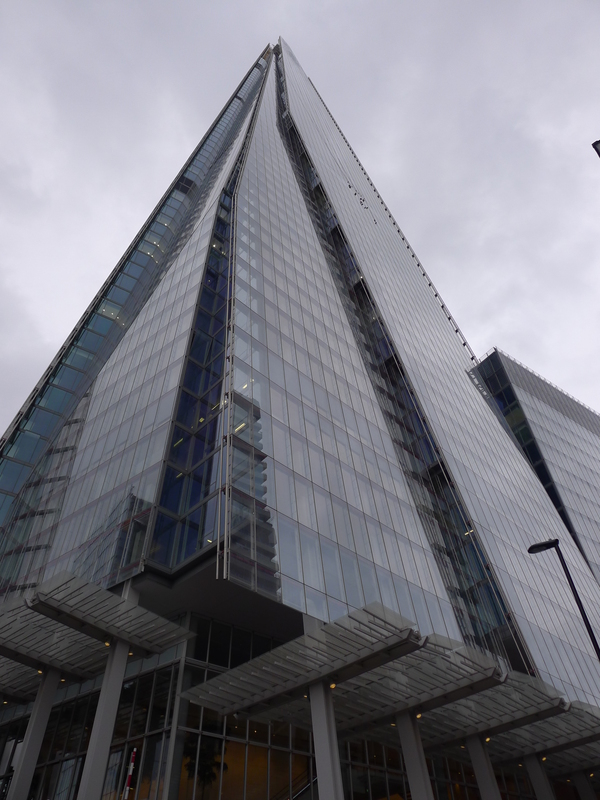 So I ignored the fears and headed to London Bridge for The Shard. The first difference with the Empire State is that you book a time slot (or pay a staggering £100 if you want to go straight up), and the second is that the staff are fantastically upbeat. Perhaps I’m too hard on British hospitality; this was great stuff. 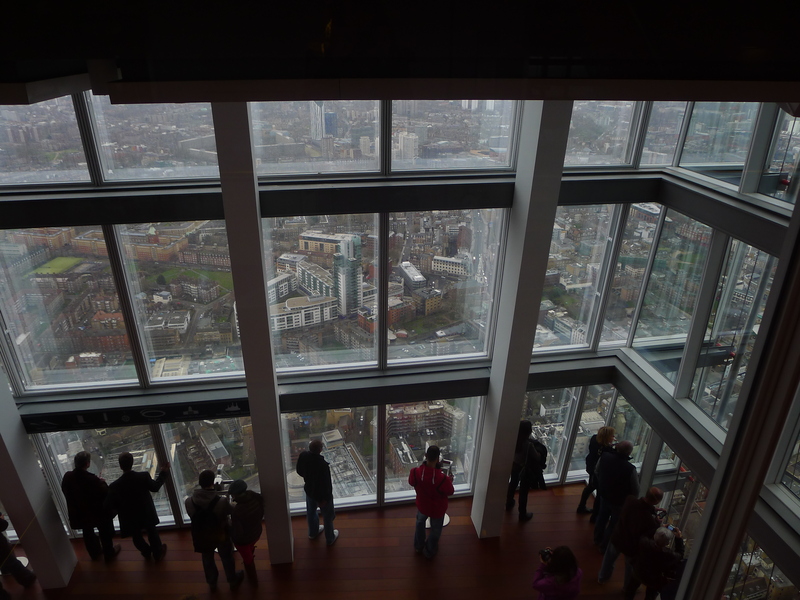 After a couple of lifts, we reached the 68th floor, and could view the city for five floors up to the 72nd. 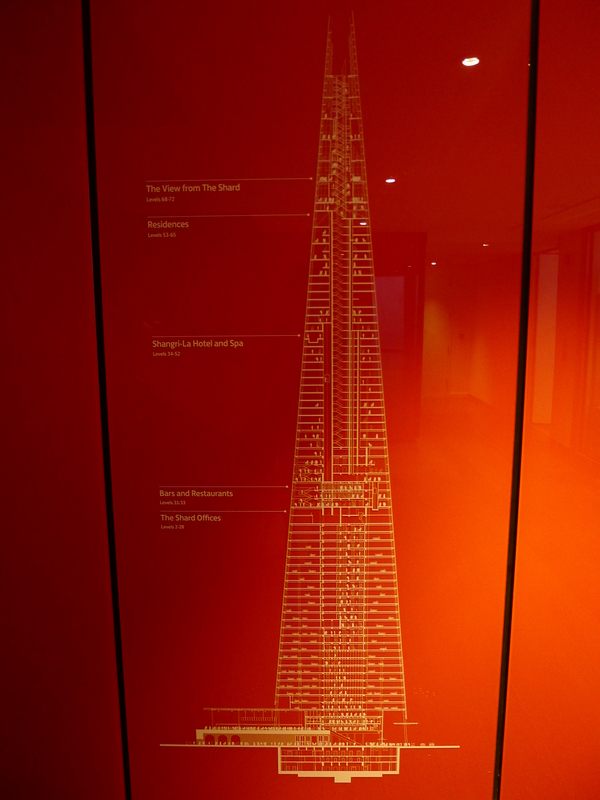 I headed straight for the top – and was disappointed that it wasn’t open to the elements, like the Empire State. It meant reflections in the glass in all of my pictures – but I suppose it did protect us from the howling winds and rain. 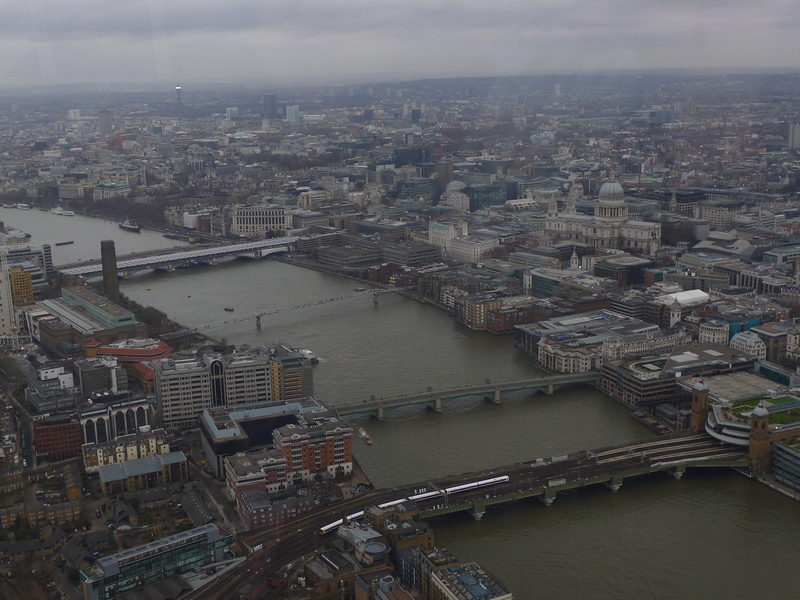 And it was quite the view – over the Thames, its bridges, Westminster and offices in the city, which looked minuscule from this great height. 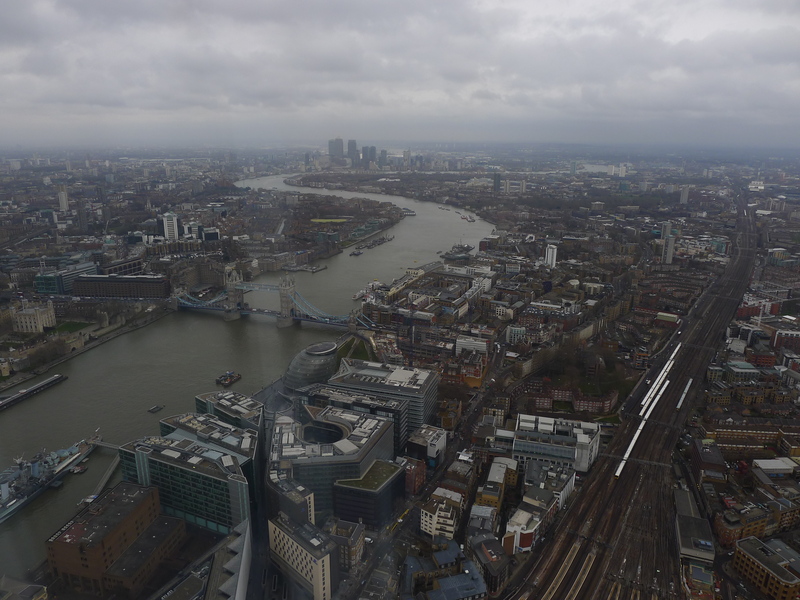 It’s about time London took on its rivals by building The Shard, which is more than 1,000 feet tall and the tallest building in the European Union. More interesting than distant views of Big Ben and the London Eye were insights into the complex train lines which are usually hidden from sight. 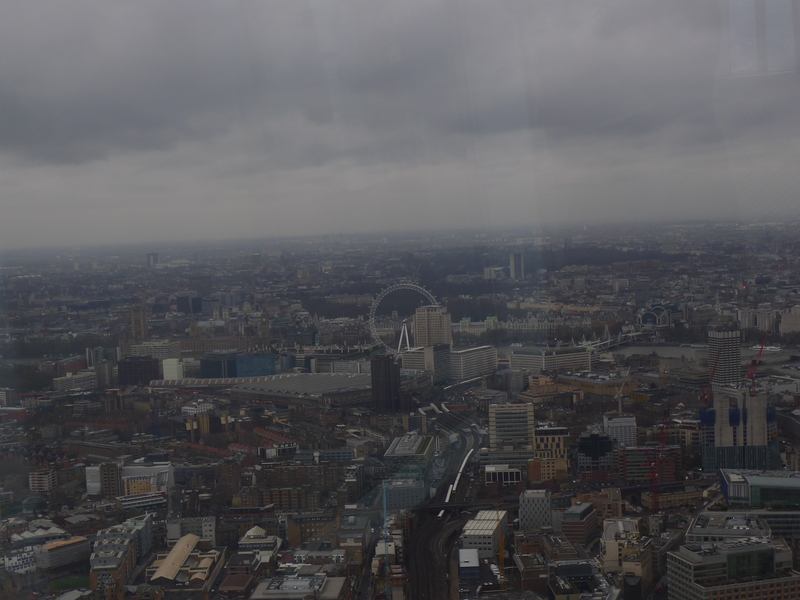 It was also interesting to see the sheer size of the city, as well as how low and spread out it is compared to New York. 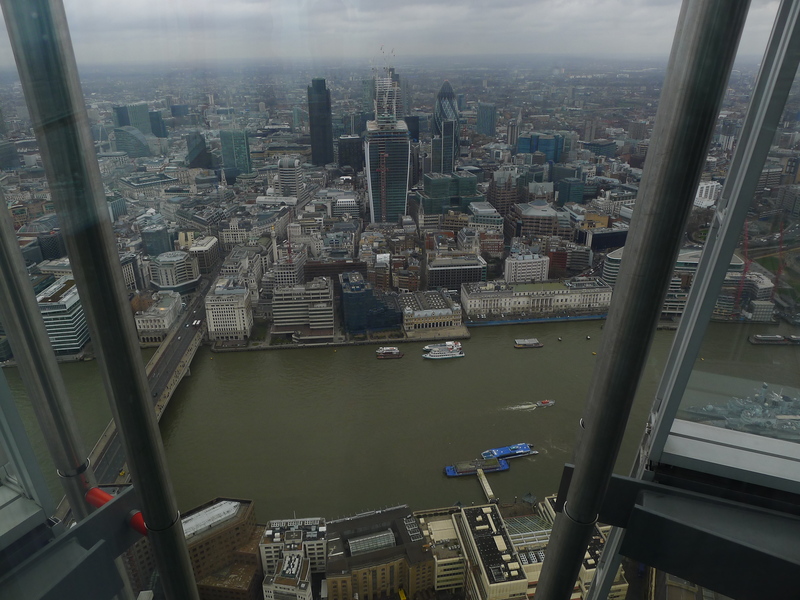 Interestingly, visiting The Shard dissipated my fear of London for the first time in a long time. 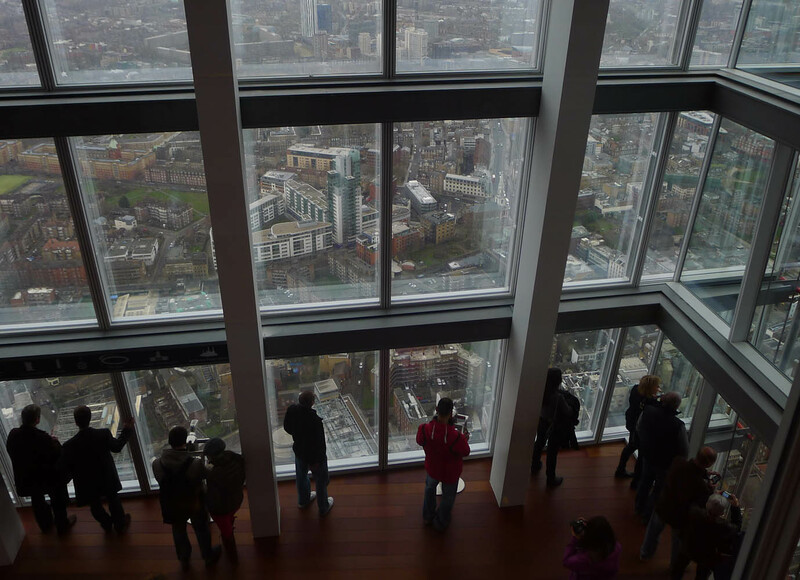 I was reminded that London is just another city – grey but vibrant. 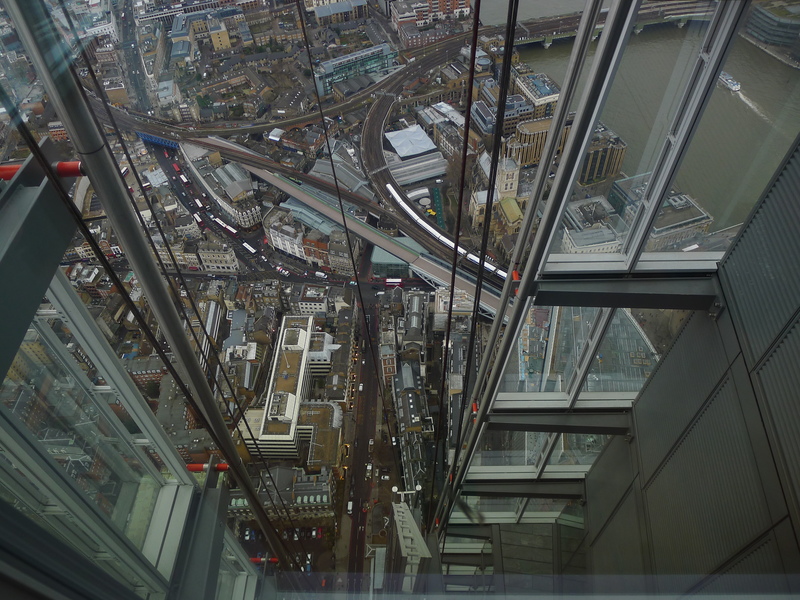 And from this height, it wasn’t so intimidating after all. 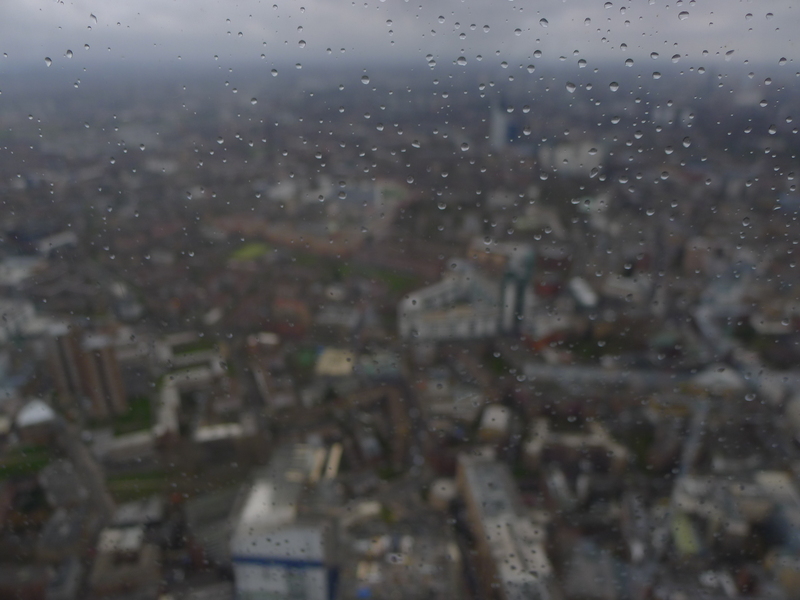 What a shame it rained, when we went it was dusk and the lights were just coming on, this gave my photos of London a much prettier look, but I think your photos are more realistic of grey London.